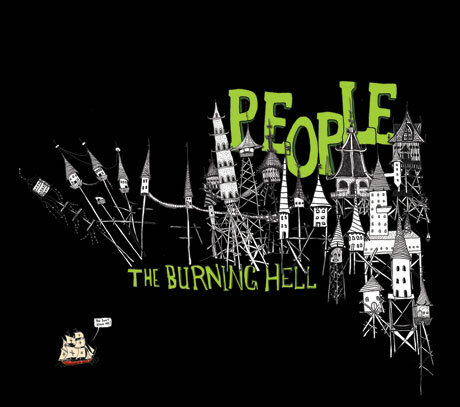 World record-breaking indie folk-rock outfit the Burning Hell are back with a new album. Before they head out on tour this spring, the group will drop People on April 16 through Headless Owl/(weewerk)/BB*Island. Before then, though, you can stream the entire nine-song collection on Exclaim.ca. We previously heard the nostalgically rocking, densely lyrical opening cut "Grown-Ups." Elsewhere, the album takes an upbeat turn on "Holidaymakers" and the crunchy "Amateur Rappers," while "Barbarians" is laced with wah-wah-assisted psychedelia and "Travel Writers" is a hushed ballad. Go here to check out the band's upcoming Canadian tour schedule, and note that many of the shows are with the Burning Hell's own Nick Ferrio.